Stronger than the normal rail frame. Real, tough rails that never fails ! Thank you so much for the Caraselle Lint Roller Brush you sent with the clothes rail I recently purchased. It has come in very handy and was a really nice surprise! I am also thrilled with the Caraselle Clothes Rail. For years I have been using rails from Argos which collapse after a short time. It seemed to me that that design was nonsensical – that force on a clothes rail should be directed downwards into the supporting poles, not through a connecting joint which is horizontal. Yours is a wonderful sturdy rail, I just wish Id discovered it earlier! 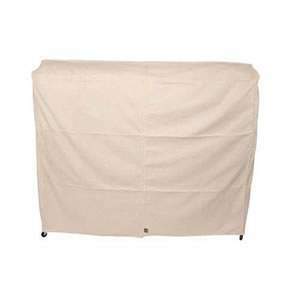 Add Transparent Protective Cover for our 6ft Clothes Rail W= 188H= 150 D= 60cm By Caraselle to your basket? One of the strongest Clothes Rails available. 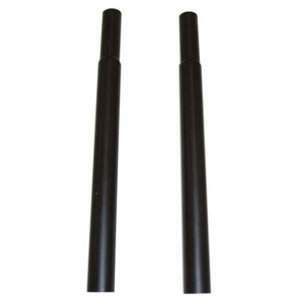 Extremely robust & durable, made of steel with a black epoxy finish. 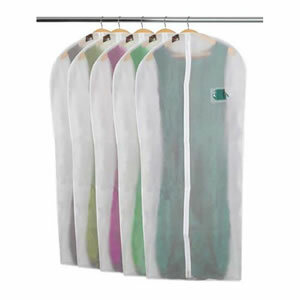 The ultimate clothes storage solution ideal for handling large and / or heavy garments. 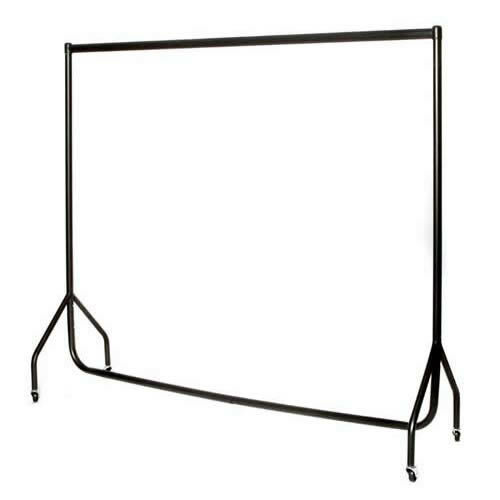 Our 6ft garment rails are made of the highest quality materials and provide a simple, quick inexpensive answer to creating more hanging space. 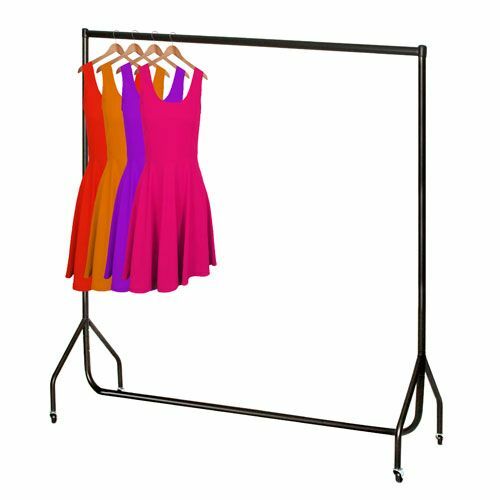 Our 6ft garment Rails are available in various colour options – All Black / Black with Chrome Top Rail / All Chrome. 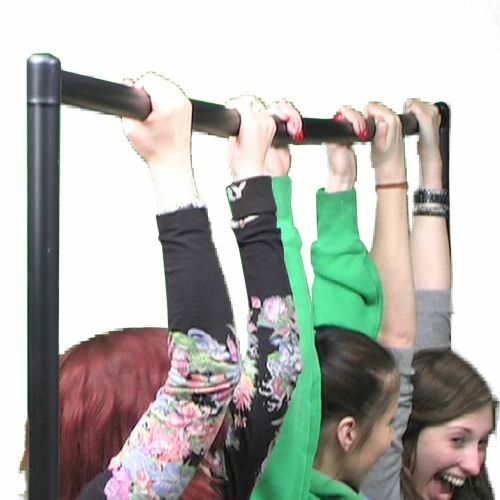 Our Clothes Rails are as easy to assemble as they are strong. The product will be delivered to you flat=packed for easy handling and is so simple and quick to put together – we always recommend that you start from the bottom upwards. Our design means that there are No Nuts or Bolts so No Tools Required – just push the castors in & click the rail together. The rails also come with 5cm diameter black Nylon Castors for maximum manoeuvrability, making it ideal for moving rooms / home, transportable storage and commercial use due to its versatility. Our Robust Rails are designed and made to last with their structurally superior tubular frame. This means that this durable rail not only carries a large amount of weight, but is capable of doing so for an extended period of time. In fact, we are so confident that you’ll be satisfied with the quality that we offer our 100% Satisfaction, Risk Free Guarantee. Our wide range of add-ons enable you to increase the height of your rail with various extension pieces. 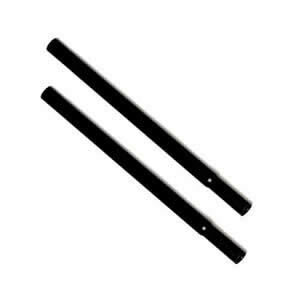 We also manufacture our own range of Clothes Rail Covers with three types available for our 6ft Rails. Our Rail Covers offer total protection from dust and fluff. 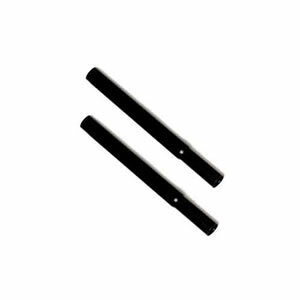 They are ideal for use with our rails in bedrooms, lofts and cellars. All of our Robust Rails offer extremely high level of quality for a modest price. They continuously exceed customer expectations as a long-lasting investment for multi purpose use. With their easy assembly and fantastic design, this product has received strong and passionate approval from our customers – see reviews below !